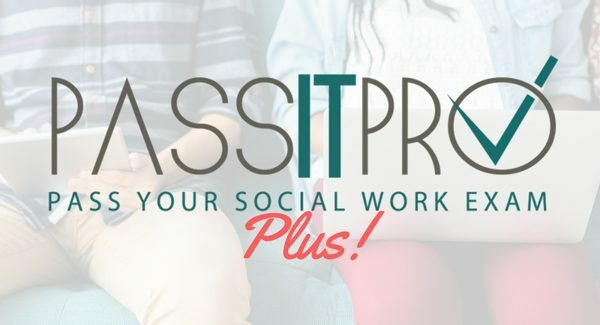 Welcome to Passitpro’s Online Social Work License Course! 90-Day Online Course: Our course includes 6.5 hours of video, text, and voice content with full explanations of all the essential content so you have the prep you need to succeed anywhere at anytime. Practice Exam Questions: At the end of each section, there are 10 practice exam questions (50 total) to go over what you have learned. Additionally, we offer a full 170 question practice exam to practice what you have learned! Test Readiness Session with Expert Teacher: Passitpro Plus Plan includes an hour session with an expert teacher. Our expert teachers will explain, demonstrate, and give feedback as you master and practice our unique method to extract key information and understand how to answer ASWB exam questions. Passitpro exam prep course, practice exams, and 60 minutes of tutoring with an expert teacher. In this video, we go through our unique process of answering ASWB exam questions. Book your test readiness session! This Social Work License Exam Prep Course is Endorsed by NASW, National Assoiaction of Social Workers for the ASWB exam - LSW, LMSW, LCSW , LISW tests.